This is the third in a series of informal posts to be used as background for the Atlanta Science Tavern discussion Quantum Physics and Consciousness. Imagine yourself a young person - or an unworldly adult - about to embark on a first-ever trip abroad. You arrive by plane at your destination and are immediately overwhelmed by the strangeness of the place. For example, the language you hear at the gate sounds less like human speech than like dogs barking. How could anyone understand what's being said? The signs you see posted as you make your way down the concourse are inscrutable. It's not clear whether the symbols are letters or words, or whether the script is intended to be read right-to-left or top-to-bottom. It all looks so unnecessarily complicated. Somehow you find your way to a shuttle bus and, as it departs for your hotel, you are alarmed to discover that everyone is driving on the wrong side of the road! Whose crazy idea was this dangerous scheme? At the hotel, weary from your travel but wanting a bite to eat before you go settle down for a well-deserved nap, you decide to visit the restaurant off the lobby which, mercifully, has photos to accompany the utterly unintelligible text on its menu. Little consolation that, since not one of the items depicted is a dish recognizable to you. To make matters worse, when your meal is served, what appears to be the entrée is unexpectedly sweet and what appears to be the dessert is not sweet at all, but unexpectedly spicy. This is a gratuitously cruel reversal of the correct culinary order of things, as far as you are concerned. Exhausted from dealing with this onslaught of the unfamiliar, you retire to your room, where, although sleep beckons, you lie awake struggling to come up with explanations for the disconcerting experiences of your day. You are convinced that if only you had the intellectual chops to think long enough and hard enough about the strange things you had seen and heard and read and tasted, then the reasons why they are the way they are would become clear. But struggle as you might, no realization emerges and you finally succumb to sleep, your last thought being, "I'll never understand this place, it makes no sense at all." The above tale is an allegory for the frustration - and sometimes despair - everyone feels when first introduced to the mysterious world of quantum physics. The story continues, of course, taking one of two divergent paths. 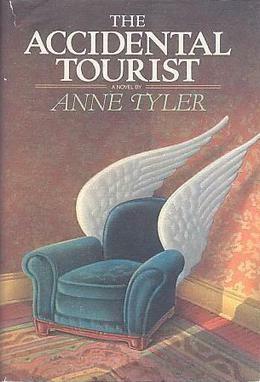 In the first variation, the traveler wakes and beats a hasty retreat back to the airport, where she catches the first flight home. There she regales friends, family and colleagues of the bizarre details of her misadventure and the absolute impossibility of living abroad. With the second telling, the traveler, refreshed by her nap, pauses and then decides to explore a bit before considering whether to cut her trip short. (It seems like the prudent thing to do, since she has come so far.) Fortunately she makes the acquaintance of an expatriate, a fellow from her home country no less, who helps her to understand a useful phrase or two in the local language and to appreciate a couple of tasty offerings of the local cuisine. Intrigued, she vows to extend her stay, even going so far as to purchase a bicycle which she, with some trepidation, learns to ride on the "wrong" side of the road. Feeling increasingly comfortable in her new environment, she contemplates the possibility of establishing a second home here, and laughs when she reminds herself that she still has no answer as to why this place is so strange, a once pressing question that no longer seems relevant at all. There's a category of misguided reasoning that goes by the name "the fallacy of extrapolation". Typically it is used to describe the mistake that people make when they assume that a current trend will continue, unchanged, into the future. But it also is a good way to characterize an error that results from imagining that the rules that govern our everyday lives should be the same as those that apply to a novel situation, one for which we have no first-hand experience. This is exactly the kind of mistake late-19th century physics made when initially confronted with the uncharted territories of the "very fast" (speeds close to that of light) and of the "very small" (distances on the scale of atoms and molecules). And it is the mistake that we all repeat when we are first exposed to the ideas of special relativity or of quantum mechanics, the theories used to describe those two unfamiliar realms. But, like seasoned travelers, we can benefit from knowing that, if we are open-minded and patient, then the confusion and dissonance that we feel with the first encounter a strange new world will slowly dissipate, and that through acceptance and immersion we can come to enjoy a new home away from home. Adventures in Quantum Tourism by Marc Merlin is licensed under a Creative Commons Attribution-NonCommercial-NoDerivs 3.0 Unported License.